This portion of our Alaska Trip in 2015 was probably my favorite. In short, Jayme and I got a ride to Whittier from Anchorage, and went through the really cool Whittier Tunnel. 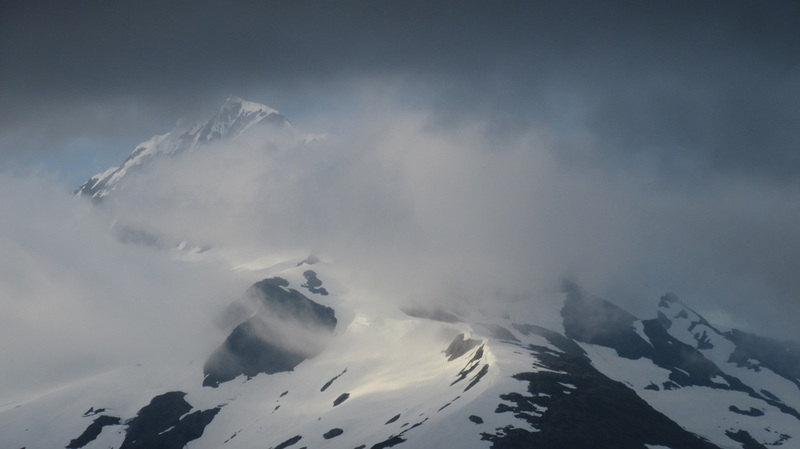 We did a short day hike up to Portage Pass and saw a complete weather transformation from calm and sunny to cloudy and windy. 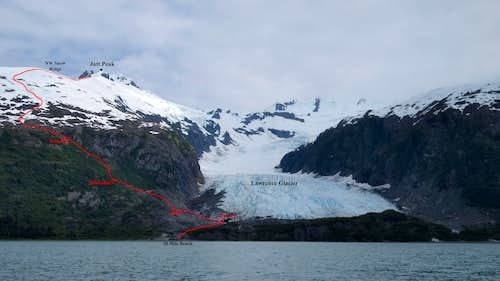 That next morning, we rented a sea kayak and took a water taxi out to Blackstone Bay and explored the glaciers, and ascended a peak I spotted from the water that appeared to have less buswhacking. 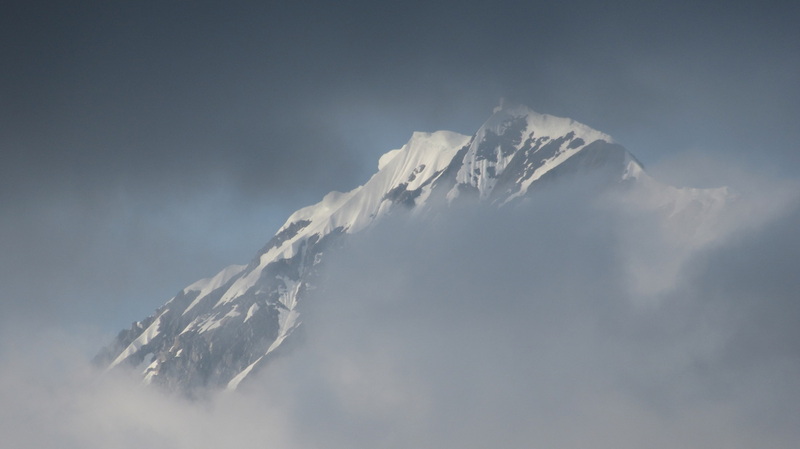 Well after the trip I got a message from Steve Gruhn, a member of the Alaska Mountaineers Club who informed me the peak we climbed (which we named Jatt Peak) was probably a first ascent. 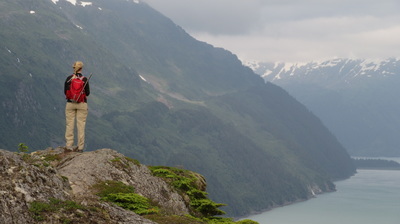 We then made the 20 mile kayak back to Whittier over a two day period, stopping in Shotgun Cove for the night. See photos of Portage Pass and the route beta and trip report for Jatt Peak below. 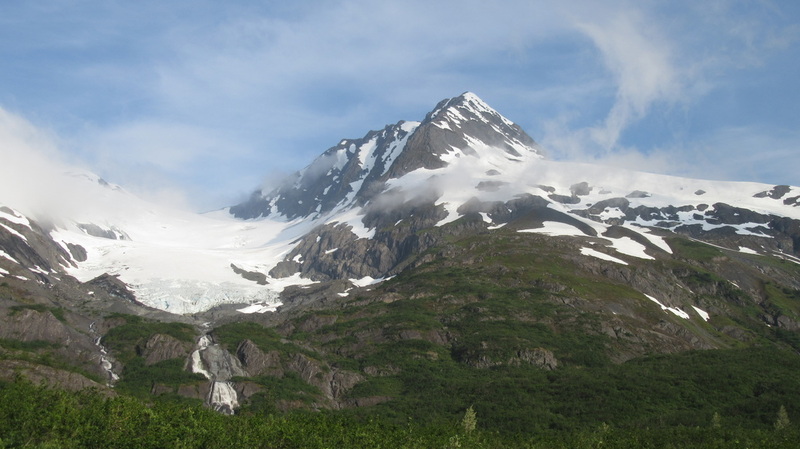 "Jatt Peak" is the name that we (Jayme and I) have dubbed for the unnamed peak about 3 miles east of the head of Blackstone Bay, where the Beloit Glacier dumps into the bay. 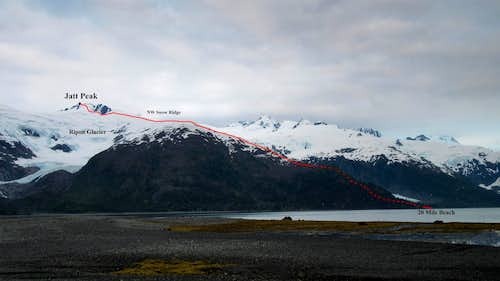 Located in the southern Alaska coast range just north of Kenai Fjords National Park, and close to Whittier Alaska, this peak, along with the entire surrounding area receives copious amounts of snow. 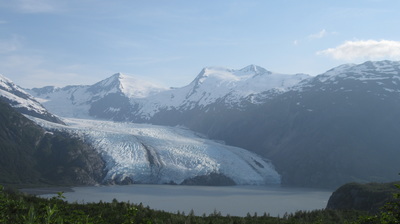 As a result, gigantic ice-fields and glaciers can be seen in every direction from Blackstone Bay and if you're standing on the summit of this peak, glacial ice will dominate the horizon everywhere. "Jatt Peak" rises 502 from its key saddle just to the north which has an elevation around 2,900 feet. It's parent peak is located about 1.5 miles to the NNE, which is another unnamed peak, but was unofficially named Mount Applegate in 1914 and has an elevation of about 3,650 feet. Traversing to this peak from Jatt Peak looked possible but the final 150 feet or so looked technical. 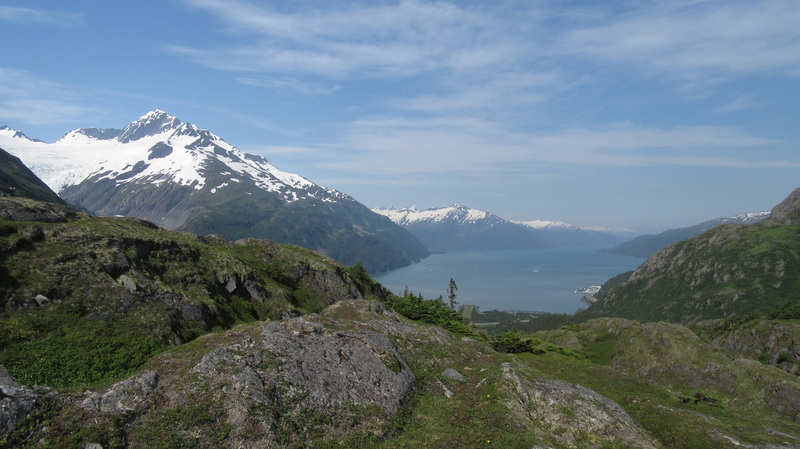 The unique thing about Jatt Peak, as well as any of the other nearby unnamed peaks, is that you need to either kayak, or take a boat to the "trailhead" which is a beach along the eastern shore of Blackstone Bay. In calm waters, it is a fairly long day of kayaking from Whittier (about 20 miles) or you can take a water taxi ride to 20 mile beach which will cost anywhere between $50-200 per person depending on how many people you share the ride with. There are a handful of companies in Whittier with water taxi service and they will also haul your kayak if needed. Think of the route to 20 mile beach as your approach; if you pay for the water taxi, it's the same as paying pack mules to haul you and your gear to the base of the mountain you wish to climb! One way to do it is to take the water taxi with your kayak out, then kayak back, or vice versa. 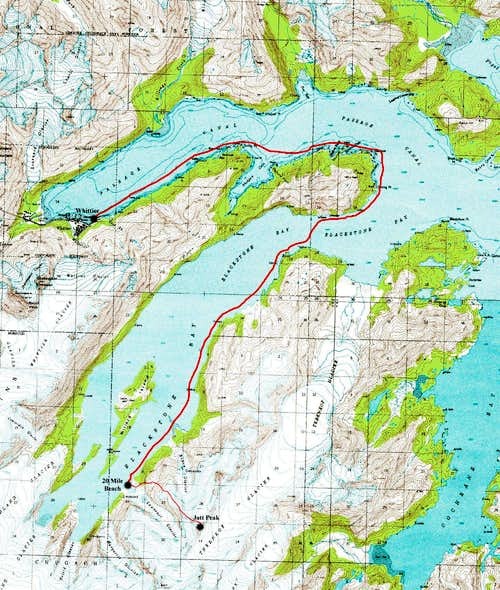 As stated, 20 mile beach is the start of the route up this remote peak (see map below). 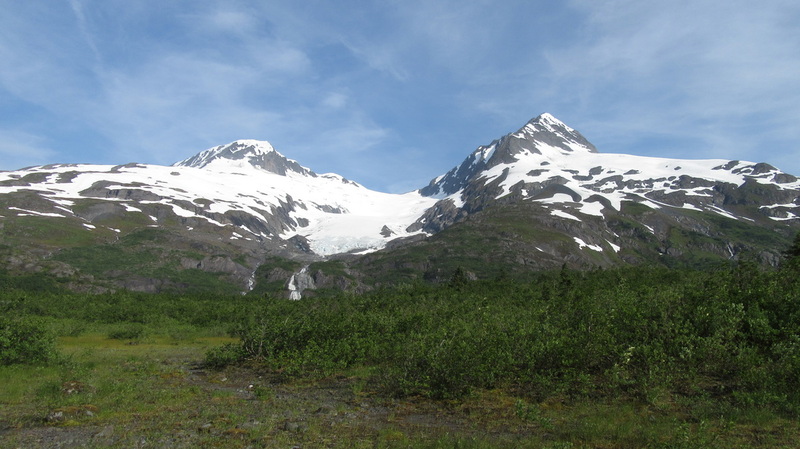 The route to the summit involves rock scrambling, lots of bushwhacking, and extensive hiking on snow. If you stay on route, you won't have to navigate any crazy glaciers since the route follows a high ridge separating two huge glaciers. There is however a good chance that crevasses are present and knowledge of glacier travel and identifying crevasses is strongly recommended. The views from the summit give perspective on what Alaska emulates. 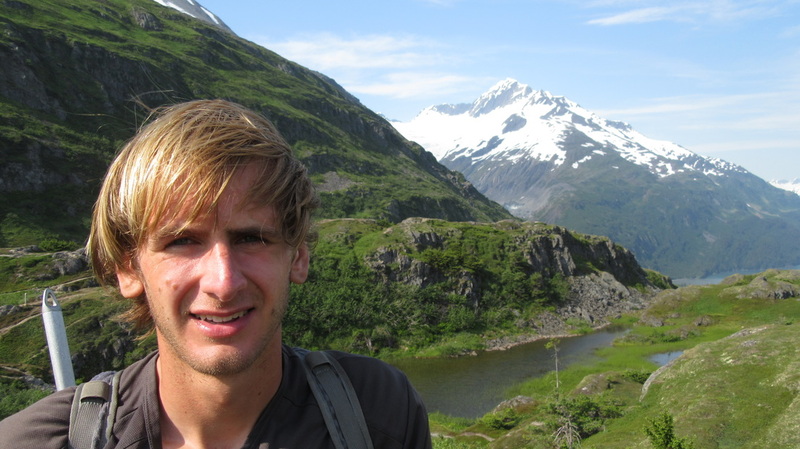 You realize it took you at least 5 hours to ascend a tiny nubbin of a peak and you are surrounded by hundreds of other peaks easily 10 times more remote/difficult. Many of the peaks you see from this summit are unnamed and typically require a plane to even get within a reasonable distance from. 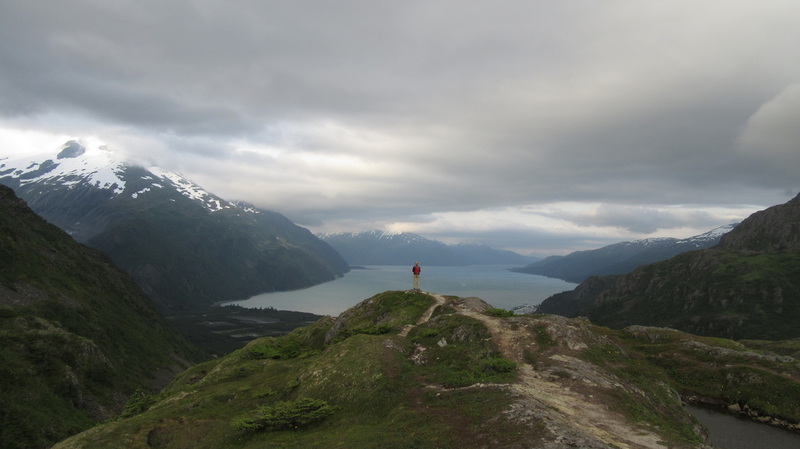 Enjoy the time you are up there, and realize that although you may be on one of the easiest and most accessible peaks in the area, virtually no one goes up there, and you won't even see that many people in Blackstone Bay. The people you do see will almost certainly be on a tour boat and paid large sums of money to briefly get a chance to see this beautiful place. My recommendation? 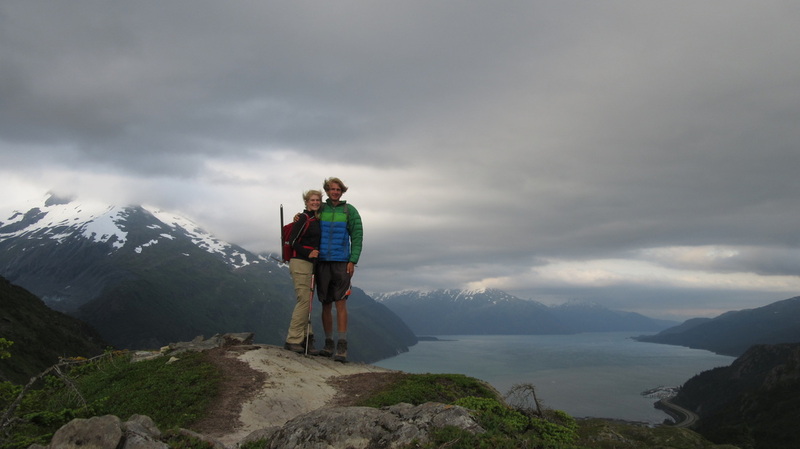 Split the $300 cost with your partner and rent a double kayak from Alaska Sea Kayakers for 5 days and kayak out to 20 mile beach. Camp along the beach as there are many great places to pitch your tent plus you don't actually have to carry it (the kayak holds plenty of gear). Ascend the peak, or explore other peaks, then be sure to kayak to the head of the bay where huge glacial ice walls constantly calve off into the head of the bay. Then kayak back to Whittier. This way you spend $150/person and truly explore the area. People on the tour boats get about 20 minutes to see only the head of the bay and pay upwards of $400/person!! 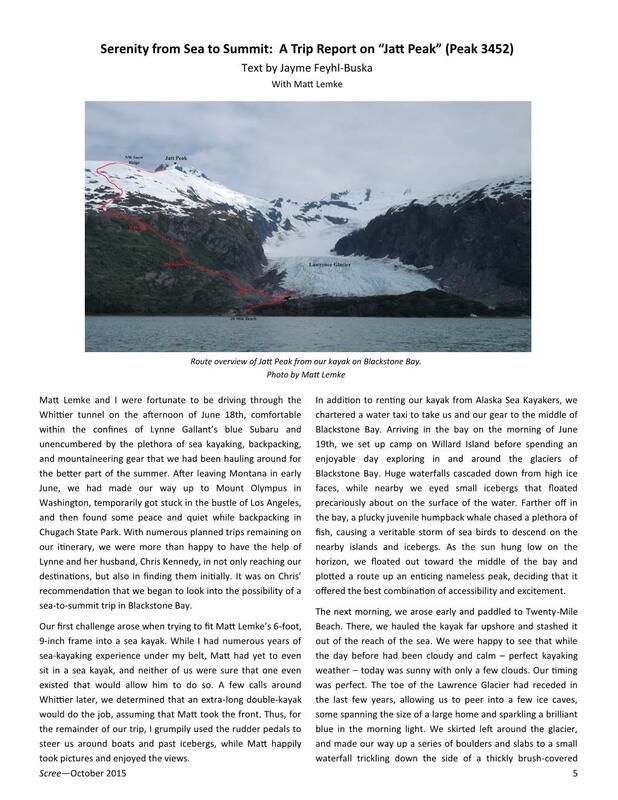 From Whittier Alaska, with your own sea kayak, or one you rent from Alaska Sea Kayakers (I highly recommend them), or utilizing a water taxi ride from theLazy Otter, kayak to 20 mile beach (most of a day in calm water) or ride, which takes roughly an hour. This beach is on the east side of the bay not far from the head. Be extra careful kayaking down the Passage Canal and stay close to the southern shore to be out of the way of the many boats, some of them cruise ships, that will chop up the water and potentially swamp you. Entering Shotgun Cove a little bit will provide you calmer water. 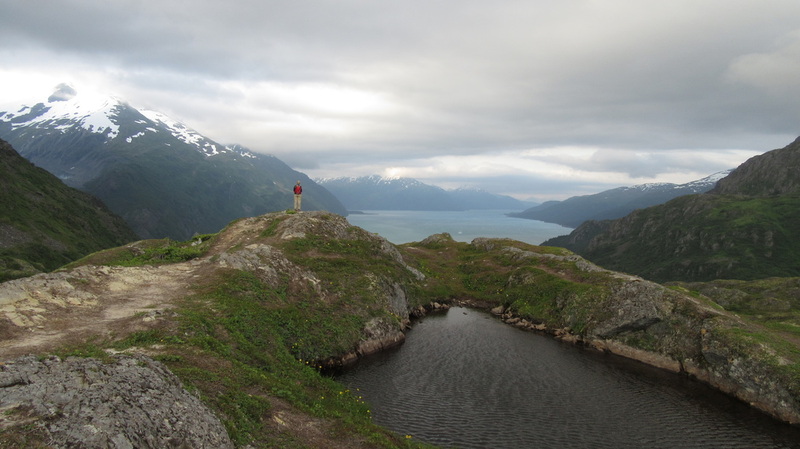 Once you round Decision Point, cross Blackstone Bay where the crossing is the shortest. Boat traffic in Blackstone Bay is considerably less. Ideally, try to kayak on a cloudy day since the winds will be low, and the water calm, then do the climb on a sunny day. If you are kayaking on a sunny, windy day, plan on making 2-3 times the effort and time required to get to 20 mile beach, possibly more. Also at least have a general knowledge on what to do if you do flip the kayak. If you aren't wearing neoprene you will need to get to shore ASAP, so it's best to stay close to the shoreline while kayaking. Set up your camp somewhere on the beach above the high tide line and spend a little while exploring the beach, and nearby fresh water ponds. A short 15 minute hike up the stream will take you to the tow of the Lawrence Glacier with a gigantic ice cave big enough to fit a house in! 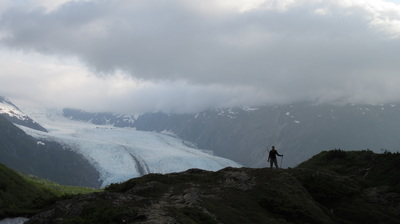 Hiking to the ice cave is also the start of the route so it's worth exploring. It's advised you get an early start as the climb will take most of the day, and try to go on a day it isn't raining...which may not be possible but the weather can be nice sometimes! See the map below for the best kayaking route from Whittier to 20 mile beach. From camp on the beach, hike southeast up the river coming down from the Lawrence Glacier for just a few hundred yards to the huge ice cave, which is a couple hundred feet above sea level and at the toe of the glacier. A few cairns mark the path and some easy scrambling is required. From the ice cave, turn left and begin scrambling northeast up the slabs and aim for the big waterfall coming down the west facing cliffs above you. At about 500 feet above sea level, you will be forced to bushwhack, however if you sneak your way up one of the streams, you can utilize rocky terrain and stay under the worst of the bushes. Don't stray too far left. Once you get to the base of the west facing cliffs, look north and you will see another waterfall coming down from a deep gully. Scramble 100 feet up steep grassy slopes and slabs to the right of this waterfall and emerge into this 20 foot deep gully at the top of the waterfall. Find the easiest route out of this gully up to the right. This will likely be the crux of the route and will require some exposed Class 3 scrambling on potentially wet slabs. Find a spot that isn't as steep and utilizes a good tree near the top. Once out, you will be at roughly 900 feet in elevation and on wide open terrain with views of Blackstone Bay below you will getting better and better. Continue working your way up the now mellower grass, rock and snow slopes to the east. Depending on what time of year you're at, the snow will become continuous at around 1,000 feet (late June) or as far up as 1,300 feet (mid-summer). Be careful for the hidden moats as the snow melts away at numerous 10-15 foot slabs along this part of the route. 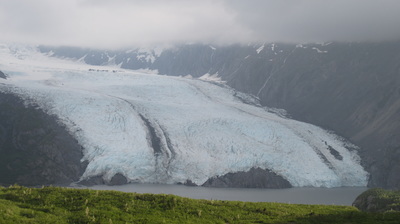 Emerge onto the broad NW snow ridge at about 1,800 feet, where views of the Ripon Glacier to the north, and Lawrence Glacier on the south will be seen. 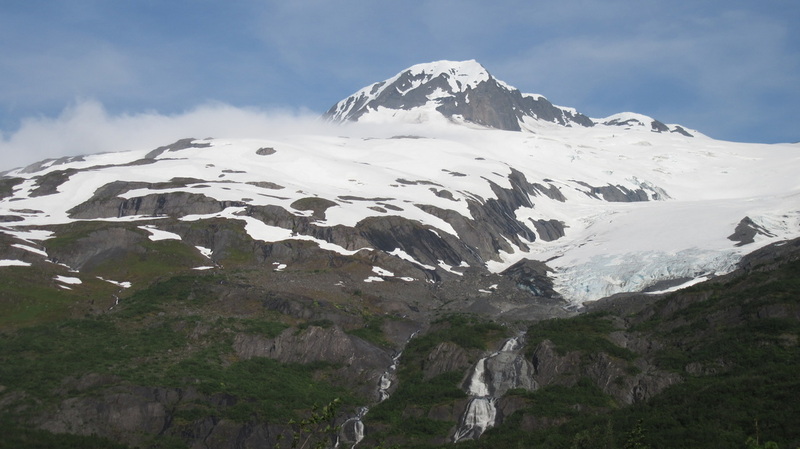 The Ripon Glacier in particular is especially rugged! 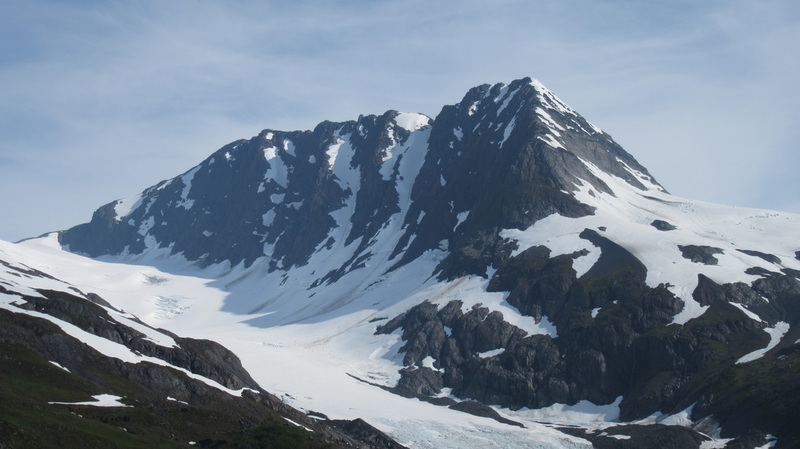 Continue hiking on the snow ridge as it ascends gently for 1 mile at which point you reach the base of the craggy false summit (which is the little rock face visible from the bay). Cut left onto the very upper end of the Ripon Glacier and circle around the north, then east side of this false summit. Stay close (within 100 feet) to the edge of the snow to avoid crevasses. 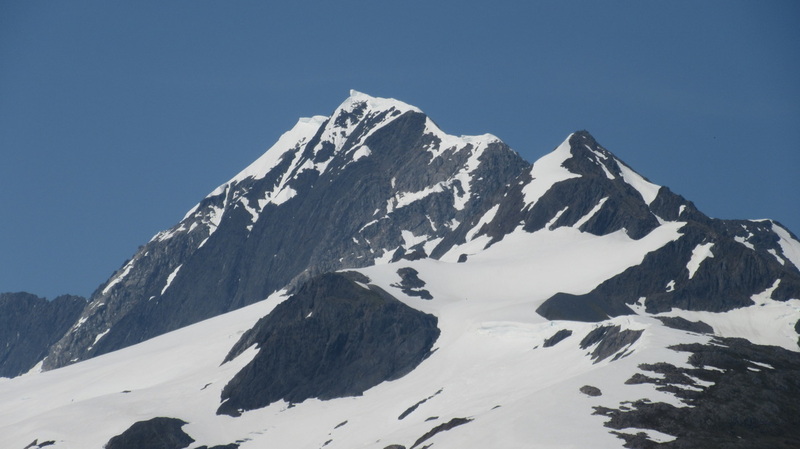 At about 3,300 feet you will reach the end of the snowfield and a large overhanging bergschrund will guard the rocky summit ridge. Traverse a short but steep section of snow to the left (east) above a huge crevasse to get around the schrund and onto the rocks on the summit ridge. A fall without an immediate arrest here would likely be fatal. Once on the summit ridge, turn right and walk SSW up maybe 10 minutes to the summit. You may have to scramble around a couple small pinnacles. The true summit is always covered in a snow mushroom and standing on the highest point invites its collapse, which would dump you 700+ feet down the incredibly rugged SE face. Be smart about where you step! Views from the summit to the east include the enormous Tebenkof Glacier, and the mountains beyond. The area looks like one massive ice-field. Back to the north and west you'll see Blackstone Bay, and the mountains above Whittier. Perhaps the most inspiring are the mountains located to the southwest, where numerous peaks above 5,000 feet are completely encased in ice. Once you are ready to return, retrace your ascent route. Camp at 20 mile beach. There is plenty of fresh water available and a few trees offering shelter from the wind. You will also have plenty of cool sea treasures to find at low tide. There is no red tape at all! This peak can really be climbed nearly any time of year. If you think sea kayaking in June is cold though, don't do it in January. Remember the days are only 4-5 hours long at Christmas so the realistic climbing season will probably be April-October. In late season, there will be more crevasses to worry about, and it may not be possible to solo the route unroped. In June, it's definitely fairly safe to solo it, assuming you are knowledgeable about glacier travel. 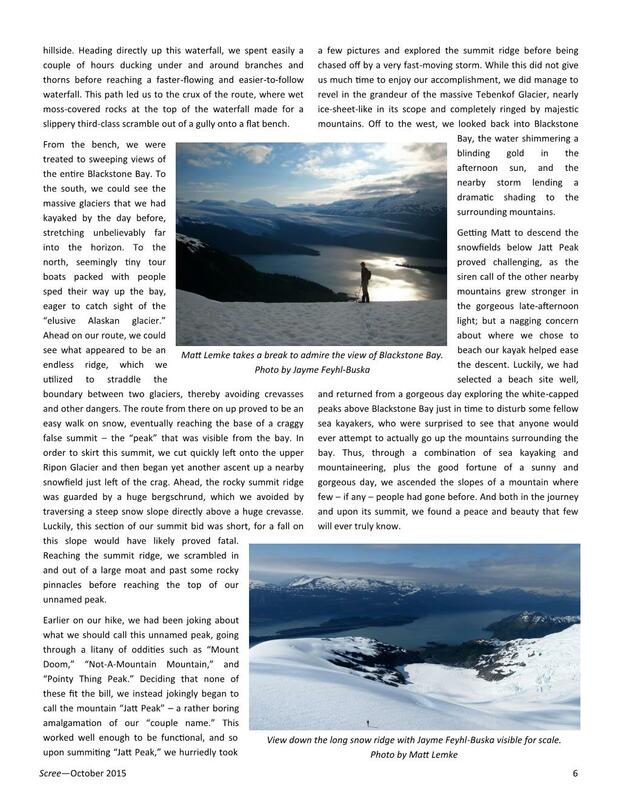 The two photos below are excerpts taken from the October 2015 issue of "The Scree", which is the Alaska Mountaineers Club biannual journal publication. Steve Gruhn approached me via email after I posted my report on Summitpost, and requested Jayme and I write a report for the next issue! He also proclaimed that he did not believe this peak had been climbed before, which meant that Jayme and I had a likely first ascent. Jayme graciously wrote the text for the report, since she was the better writer.